Of course I mean to go to Target for one thing and always come out with extras that I didn't mean to purchase! It's always easy for me to fall into the mindset of, "oh, another necklace won't hurt, or lipstick, or nail polish." Then there I got picking colors galore! 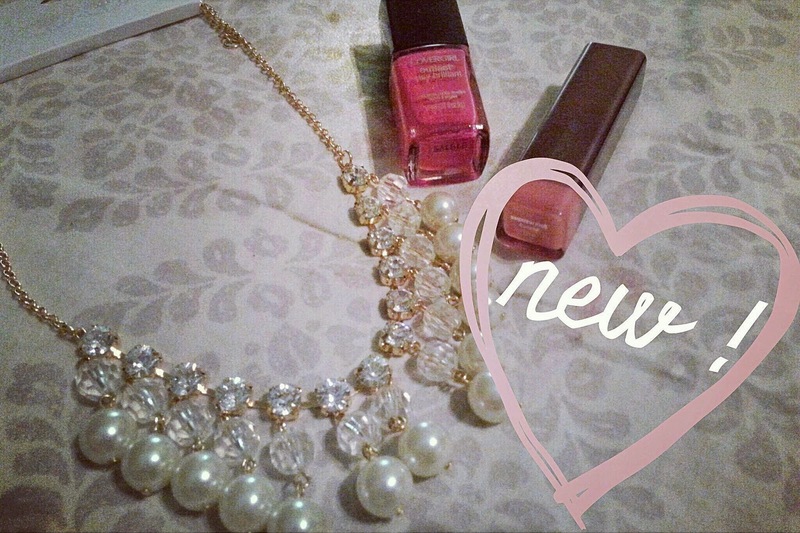 Although I only meant to go buy a maxi dress I had been eyeing for a week (really tested my patience) I ended up also getting a necklace with pearls, some hot pink nail polish for summer toes and a blush pink lip color. . . couldn't resist! The eyes of my phone.